If you are injured on the job in NC it is very important that you take action immediately to protect your NC workers’ comp case. This true even if you initially think the injury is minor. Serious medical problems often start out with minor symptoms and if you are not careful you could lose important rights to NC workers’ compensation benefits before you even know the extent of your injuries. 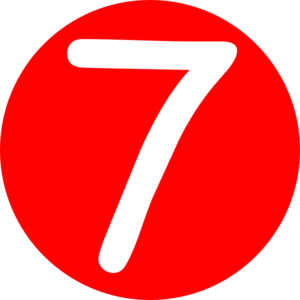 If you are injured on the job in North Carolina be sure to follow these seven steps to protect your NC workers’ comp case. Report you injury immediately to your employer. NC workers’ compensation law requires you to report your injury within 30 days, but there are sometimes ways around this. It is best to report you injury in writing, even by email or text. Be sure to say where, when and how your injury happened. But be careful, not all injuries are covered by workers’ comp in NC. Keep a copy of your report of injury. 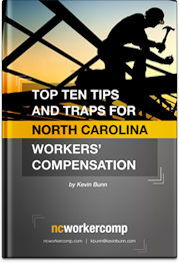 File your NC workers’ comp claim with the North Carolina Industrial Commission. This should be done on a Form 18 and must generally be done within two years of the date of injury. Send a copy of the Form 18 to your employer. Get medical treatment for your injury. If your employer accepts your workers’ comp claim then they will usually send you to a doctor they choose. Be very clear with the doctor about how your injury occurred. Clearly describe the problems you are having. Be sure to get a written copy of any appropriate work restrictions or out of work note issued by the doctor. Follow your doctor’s recommendations for treatment and any work restrictions. Take your medicine, do your physical and keep your medical appointments. Your best chance fully recover from a workplace injury, or any injury, is right away. If your doctor recommends that you take time off work, do so. Let your body rest and heal. Keep copies of everything, including your report of injury, any filings with the NC Industrial Commission, all communications from your employer or their workers’ compensation insurance company, and any medical notes or work restrictions. Be organized. Put all the relevant documents in a folder and keep it in a safe place. Do not quit your job. Even if your employer makes your life difficult after you report your workplace injury, do not quit. Do not put yourself in a position where you are not getting either wages or workers comp. Consult a Board Certified North Carolina Workers’ Compensation Attorney, especially if your claim is denied, you are not getting the medical treatment you need, or you are out of work and your employer is not paying the correct amount of wage replacement benefits. If you were injured on the job in North Carolina and have questions about your NC workers’ comp case please call or email for your free consultation with a Board Certified NC Workers’ Compensation Attorney.